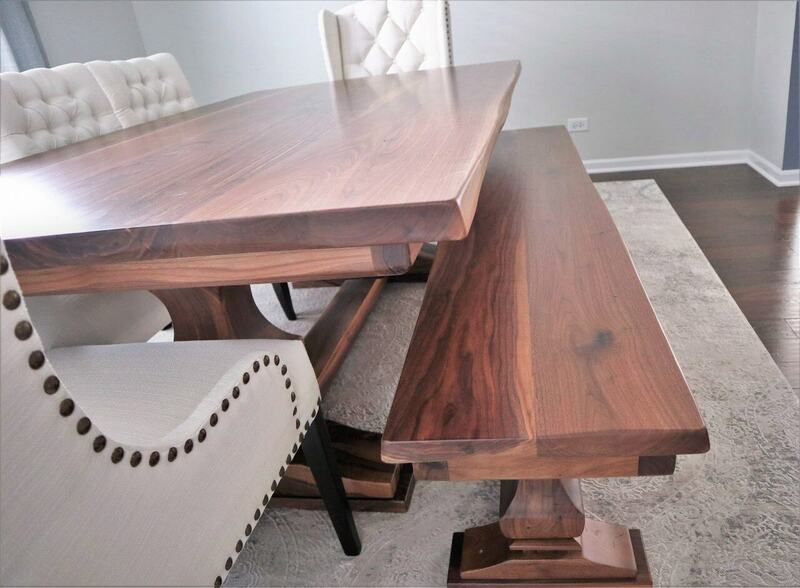 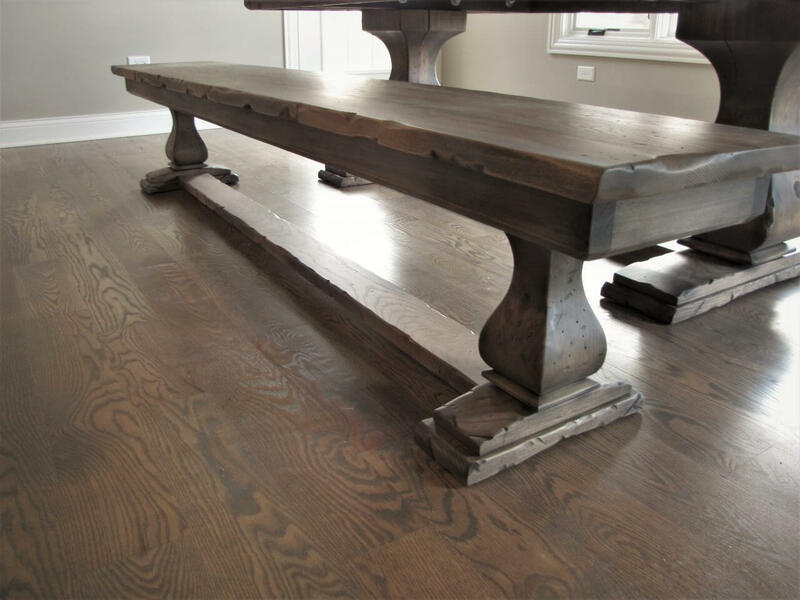 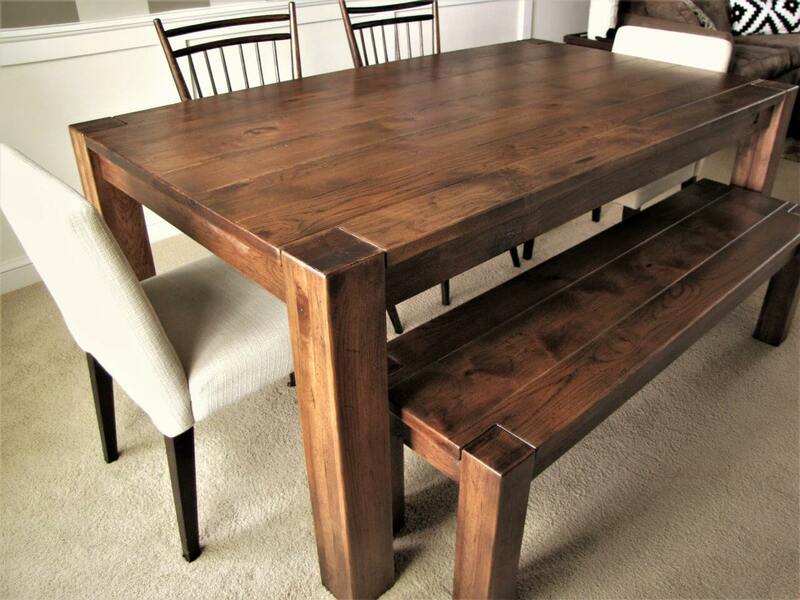 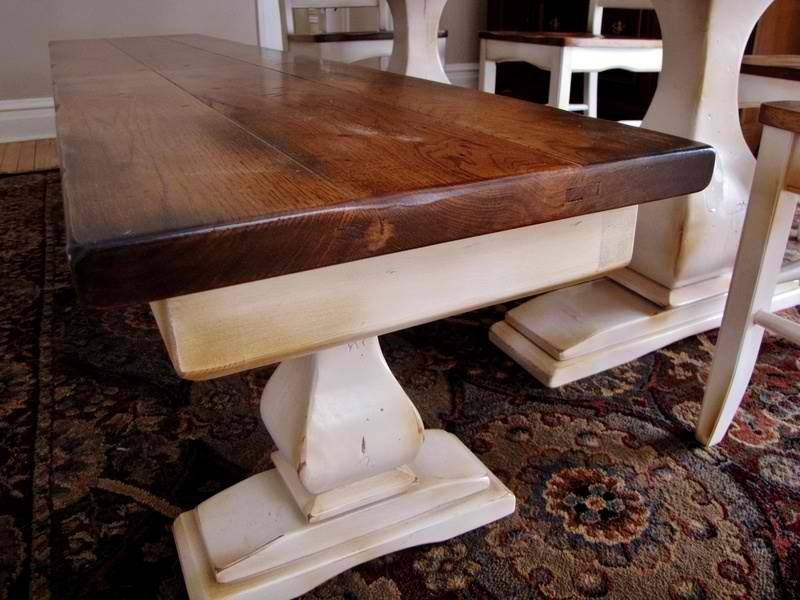 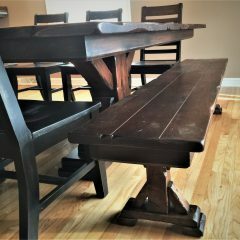 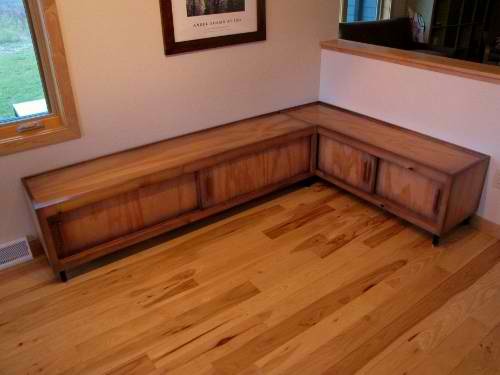 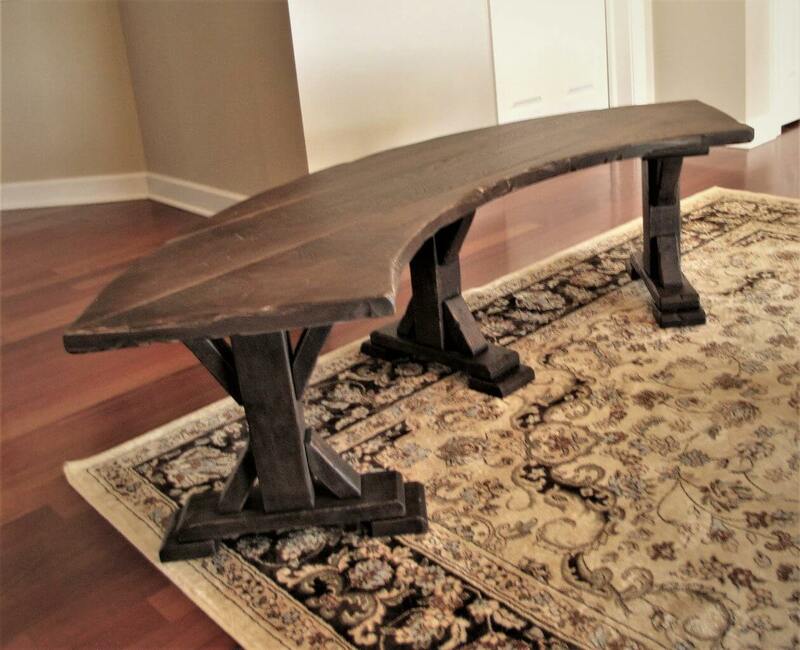 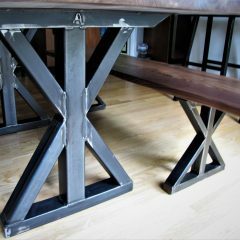 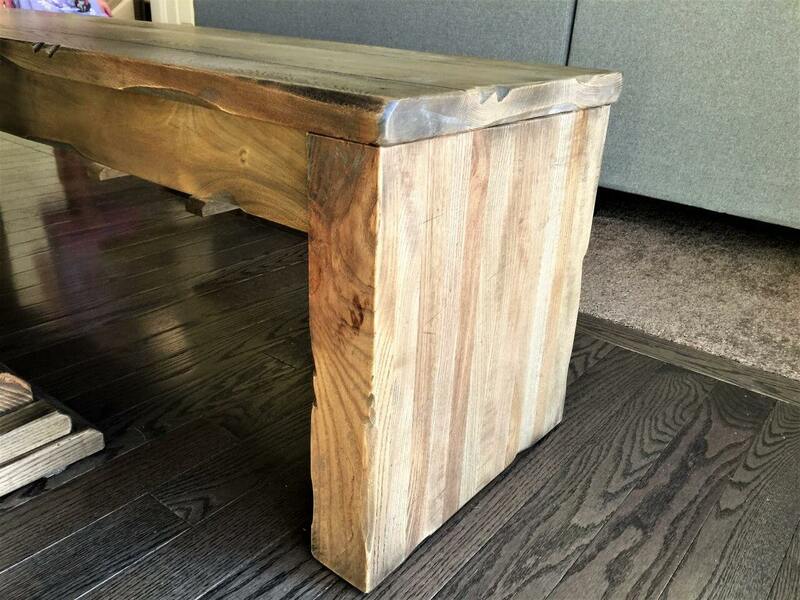 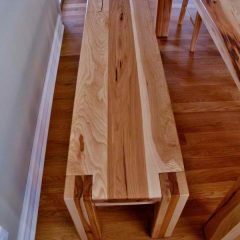 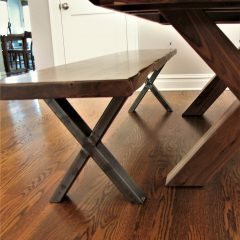 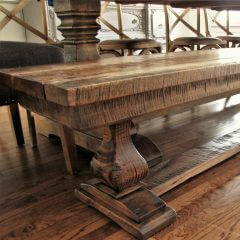 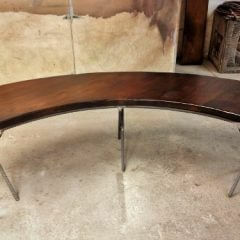 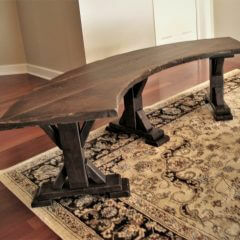 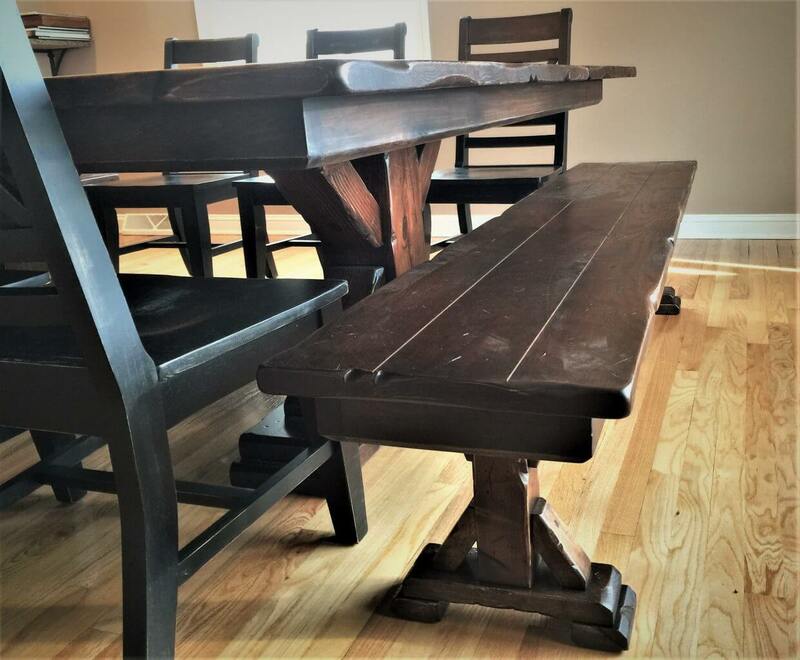 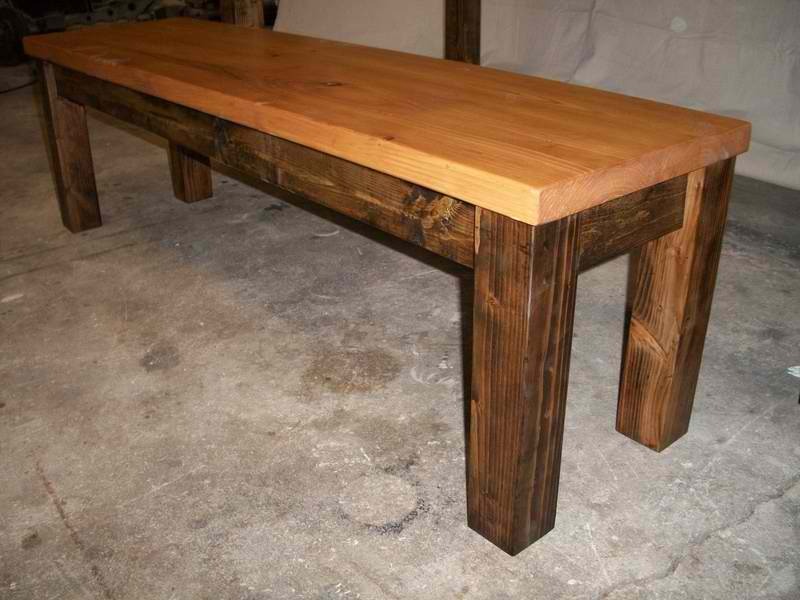 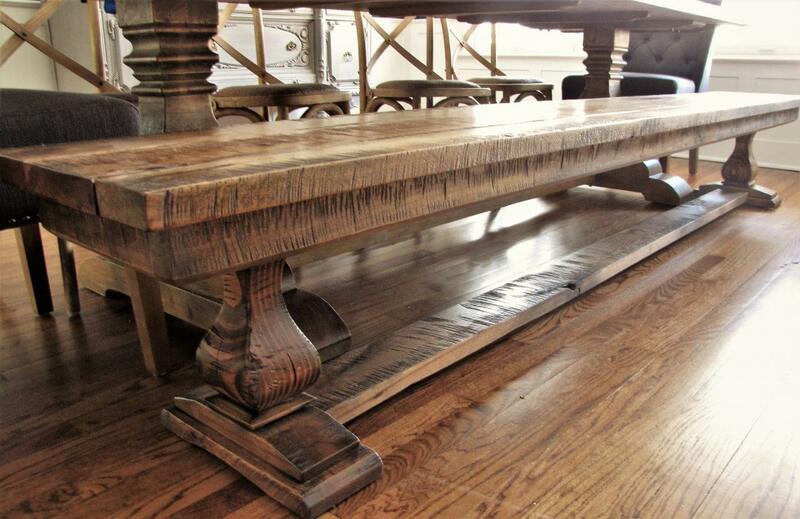 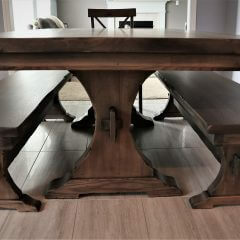 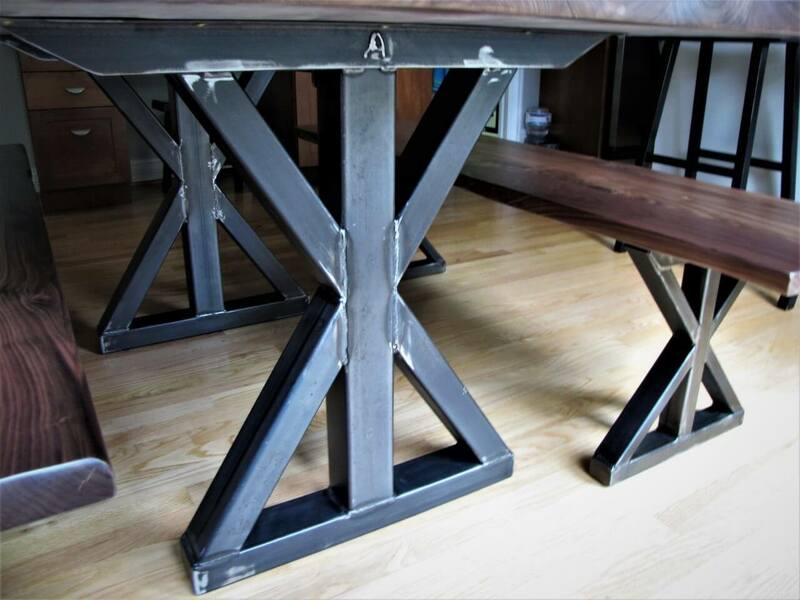 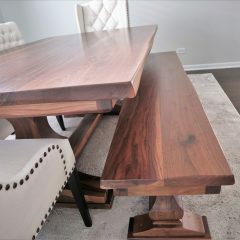 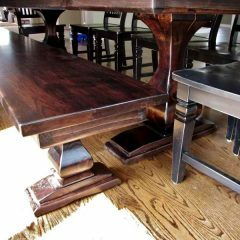 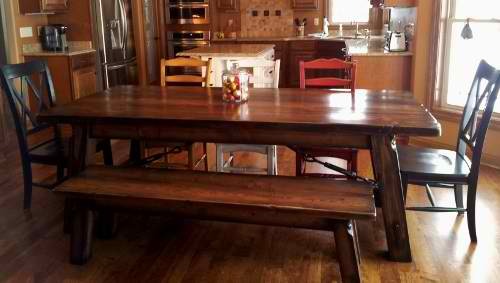 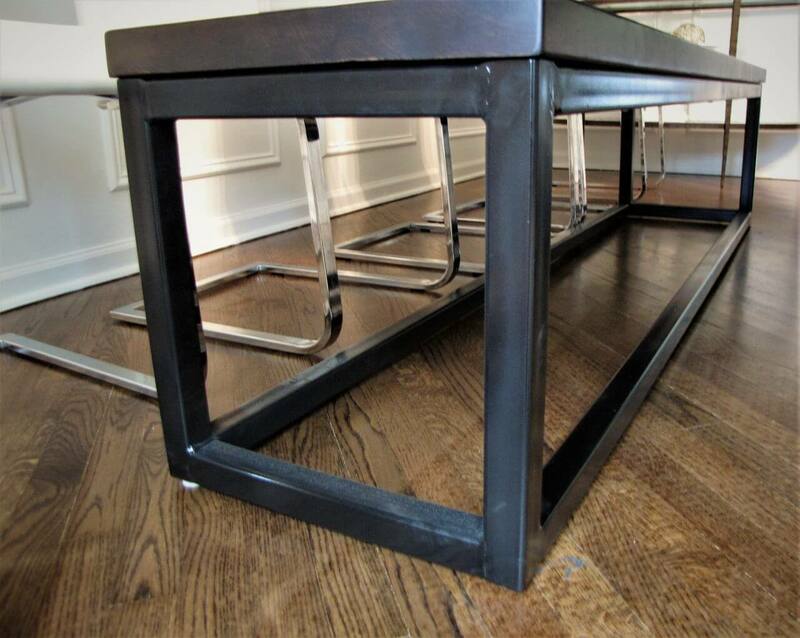 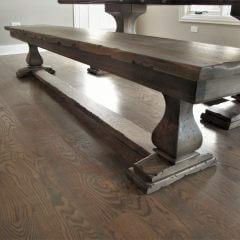 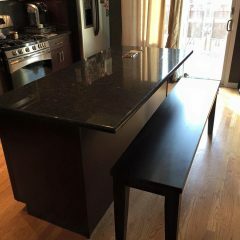 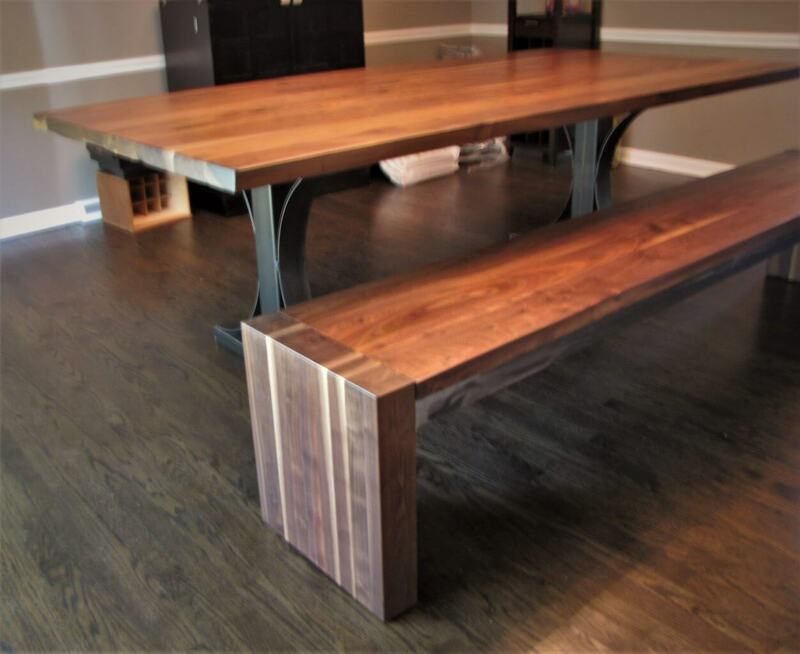 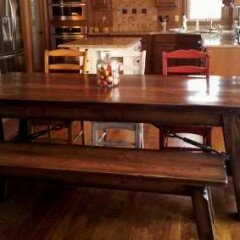 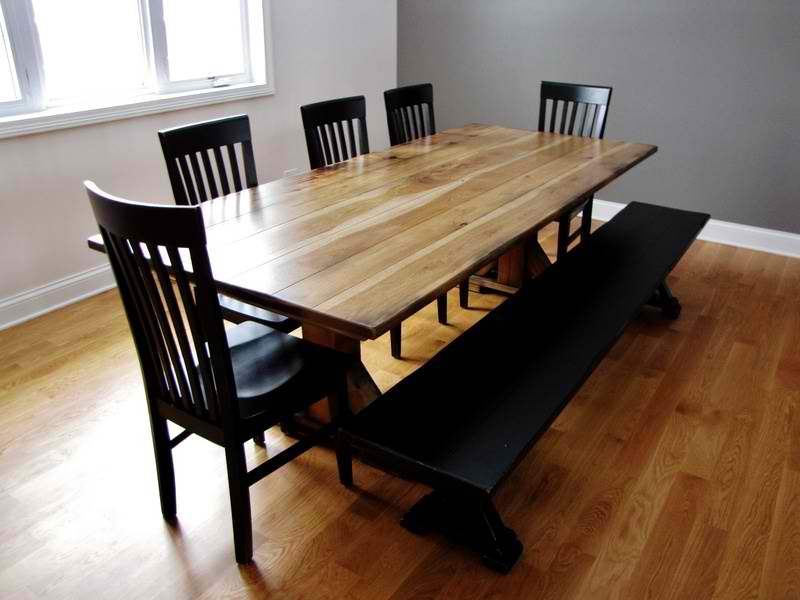 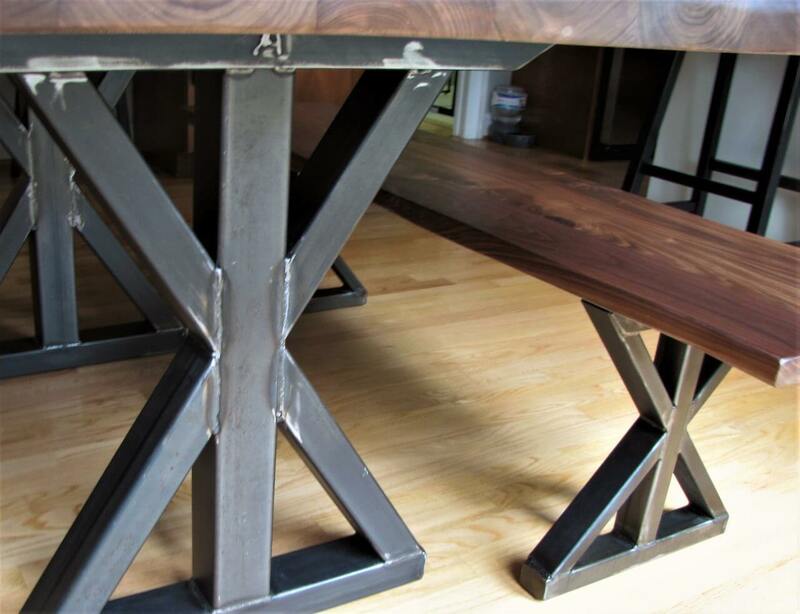 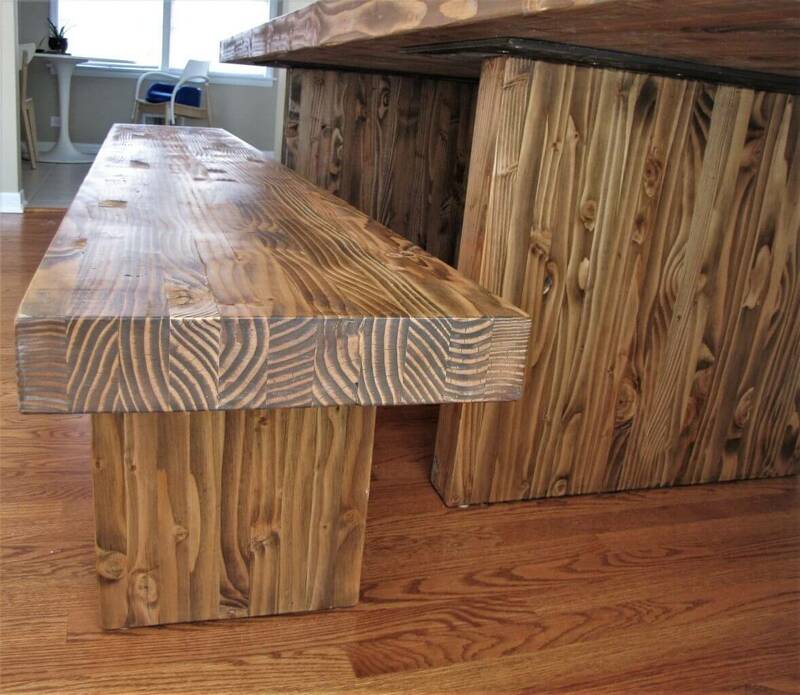 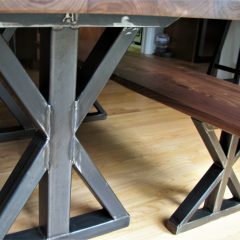 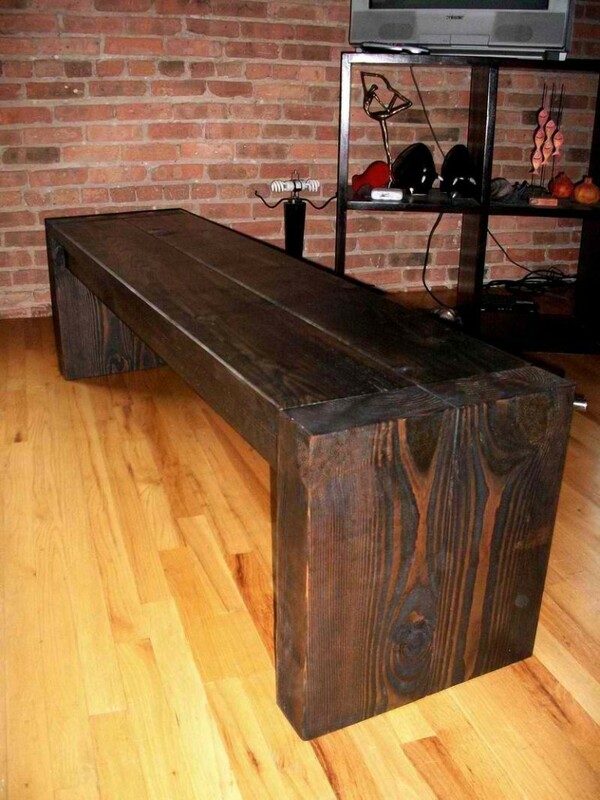 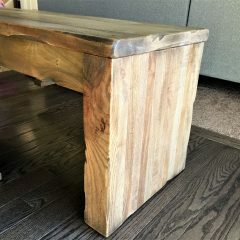 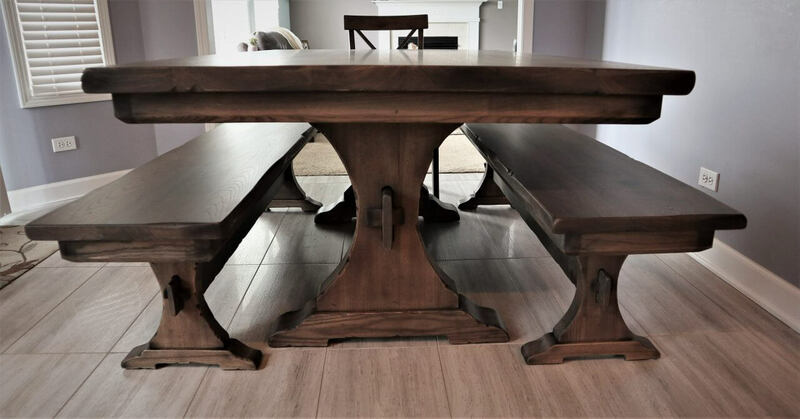 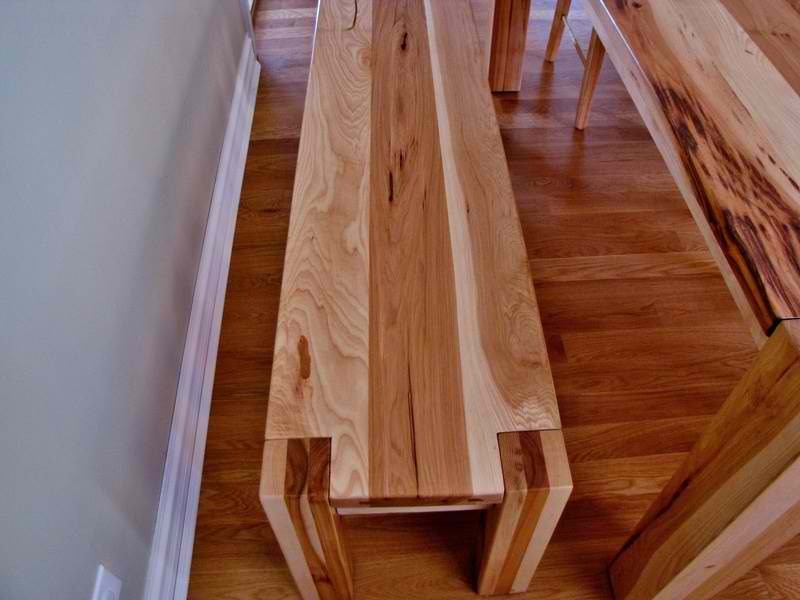 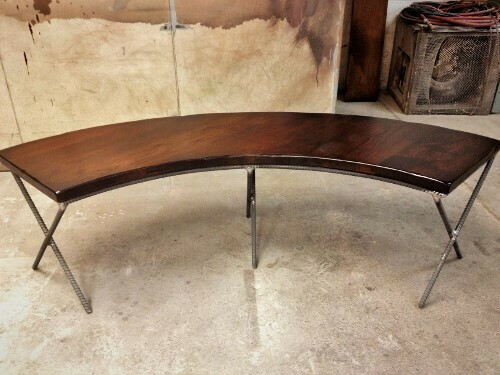 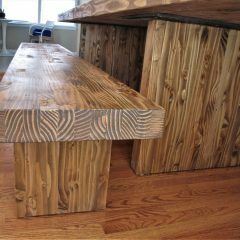 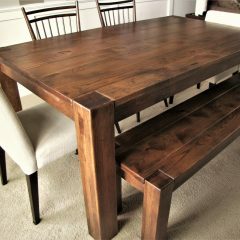 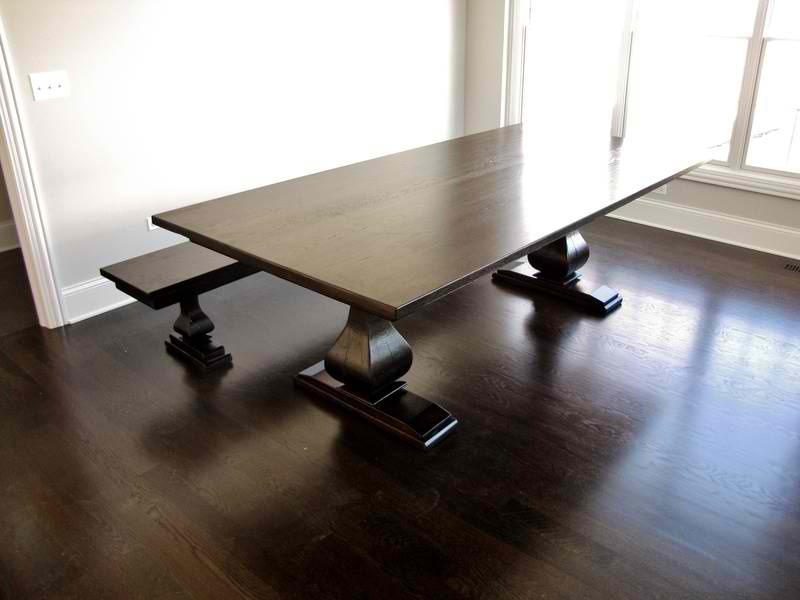 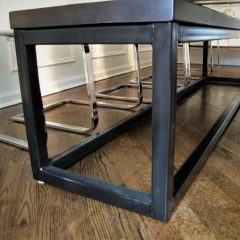 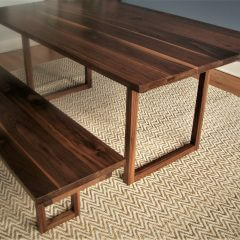 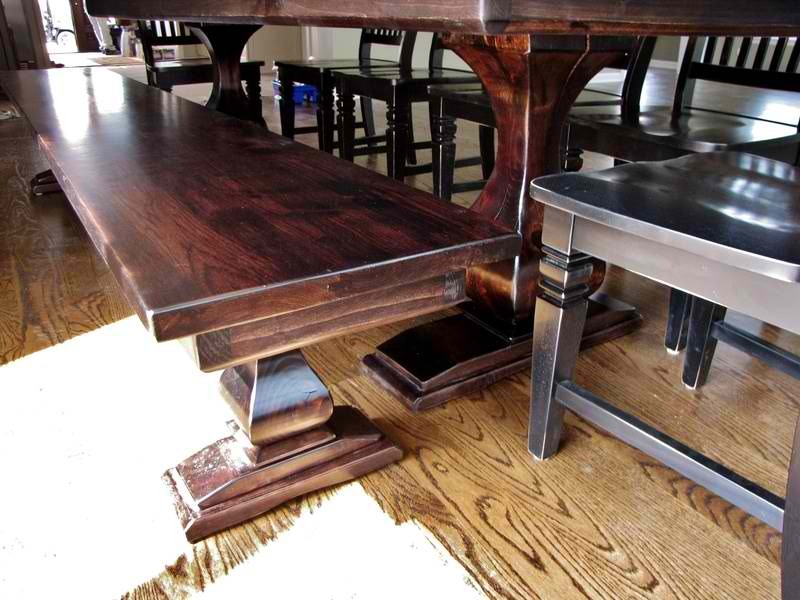 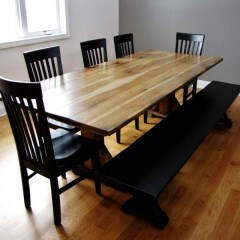 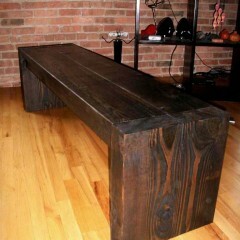 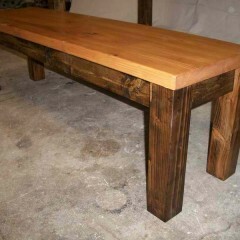 Like our tables, our benches are all custom made in-house and can be altered as desired. 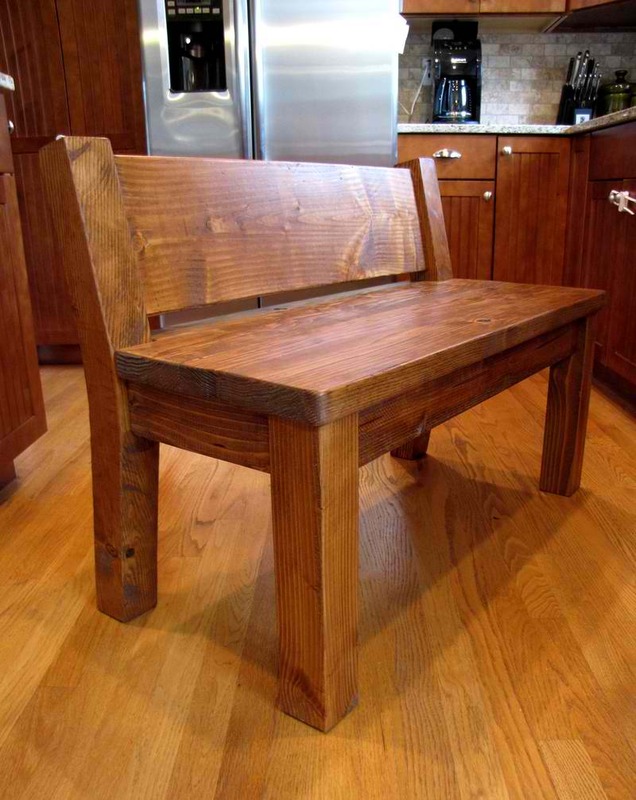 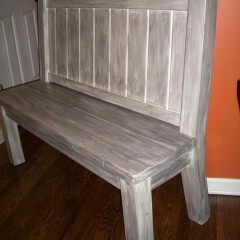 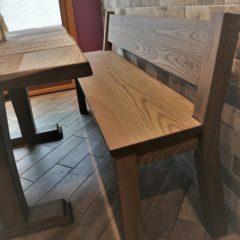 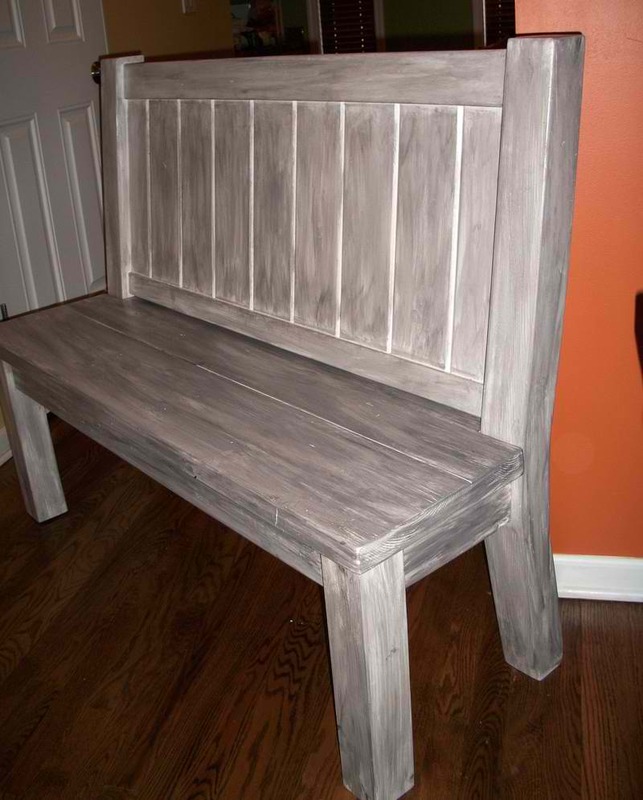 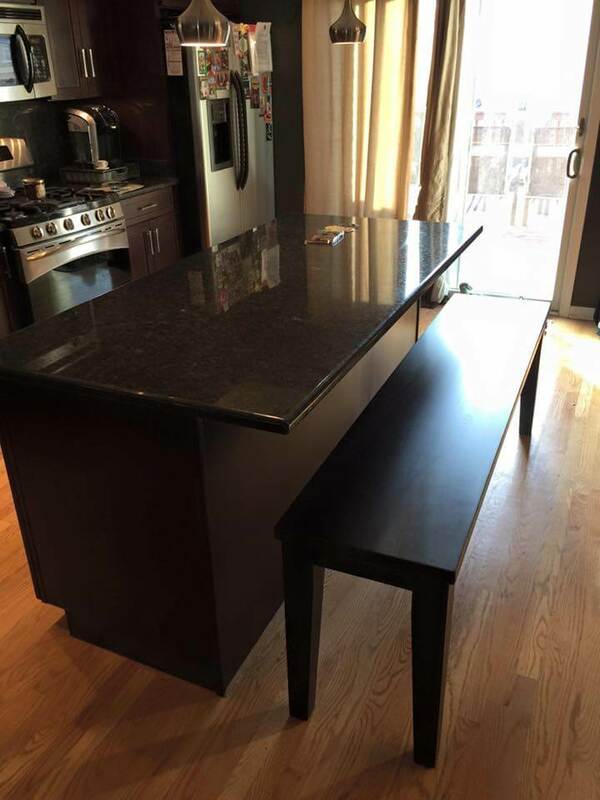 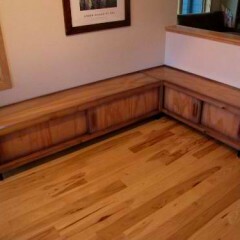 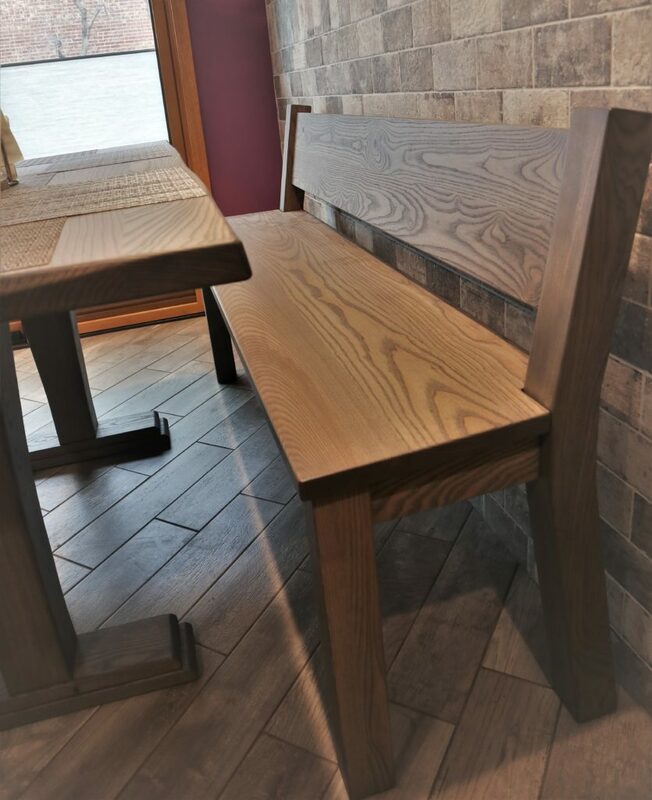 We can construct the bench the exact size you need and you can choose the finish and type of wood. 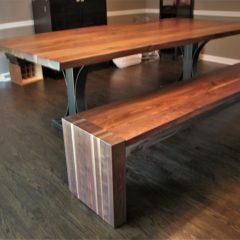 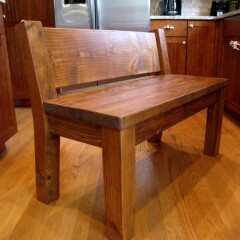 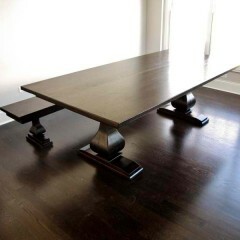 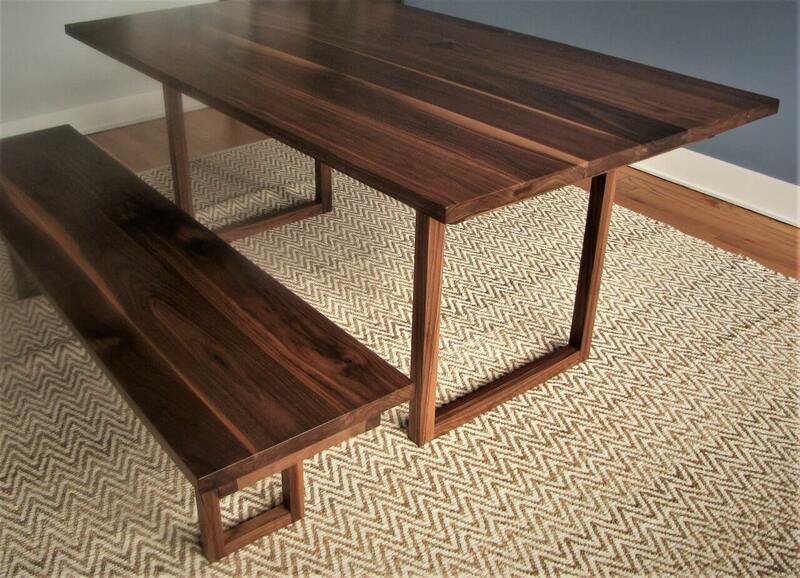 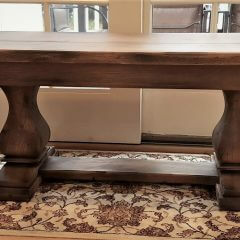 Normally benches are made as a scaled down version of your table. 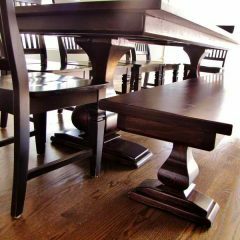 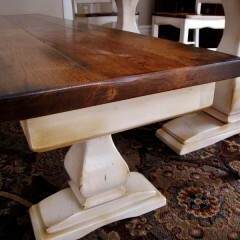 For pedestal tables, typically they are the same length as the table. 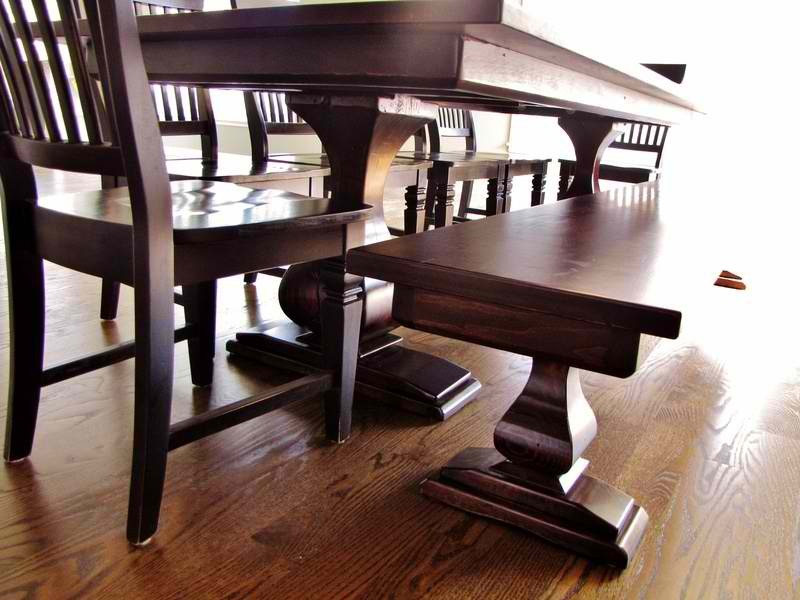 On a four leg configuration they are shorter to fit between the legs.